Garden Photo of the Day: Where did all the passion (for gardening) go? Where did all the passion (for gardening) go? I'm preaching to the choir here, I feel sure. But, I have seen a disturbing trend recently. There's been a slowdown in the interest in ornamental gardening. I mean the kind that consumes you, where you go to a nursery and want every plant and come home with half of them. You have nowhere to plant anything, no plan in place, but you had to have the shrub or perennial - likely one you've always wanted, and here it is. Do a lot of people do this anymore? In November, I went out to longtime grower Bobby Saul's wholesale nursery. Down at the end, some veteran garden designers had put in an extensive garden. In one section, there were ground covers, punctuated by unusual grasses and some agave-type plants. There were also ornamental peppers mixed in and lots of herbs. I had actually come to check out some zinnias my friend told me about, but they had been nipped by a cold spell. They were supposed to be spectacular. I hope to catch them next year. As I walked around with Bobby, he talked about how his business had changed. I can remember going there, say 15 years ago, and my heart would race, wishing I could buy every shrub and every perennial on the huge lot. Trucks were coming and going like mad. Business was booming. "The millennials aren't into gardening," he said. "They're not buying a lot of ornamentals. We've seen an uptick in interest in growing vegetables, but it's not like it used to be." I was dismayed. I have a daughter who is a couple of years older than the oldest millennial, and the farthest thing from her mind is a proper garden. She does want an arbor to cover a concrete patio and a vine to provide shade from the western sun. She and her husband have just moved into a newly constructed house. I've only been once in the semi-dark, so I haven't had a chance to study the contractor's landscape. What I did see scared me - terraced walls made of landscape timbers leading steeply up to a house in back of them. They also have an undulating wooden fence surrounding a tiny back yard that has been recently sodded. I immediately started rattling off things I would do, plants I would use to block the neighbors, but I think my words failed to register with them. To be fair, they were still unpacking boxes, and I was already redesigning their front entrance in my head. They both work long hours each day, so there hasn't been much time to do anything. By contrast, my other son-in-law, who is 41, has only a balcony at their apartment in a Brooklyn, New York, brownstone, but he is obsessed with gardening. He and my daughter have bought a house in Montclair, New Jersey, but are renting it for two years due to their nanny situation. My son-in-law has made a beautiful "landscape" in a space that must be only 12 ft. x 16 ft. He has climbing roses, a boxwood hedge, hydrangeas (the blue macrophylla he bought as a 'Limelight' has spent a lot of time indoors recently) and lots of herbs and annuals. He was all set to buy an expensive espalier of apple trees, when my daughter stepped in and blocked that idea. He's already dreaming and studying the large corner lot in Montclair and drawing out possible scenarios. This is encouraging. I say all this because ornamental gardening has been such an obsession with me. Due to my circumstances, I haven't been able to fulfill a lot of my own dreams, but one thing is for sure. In whatever time I have remaining, gardening, I know, will always be a thrill to me. As my late guru Margaret Moseley said, "Gardening is so exciting - watching over plants and waiting for them to bloom...There isn't anything like it. I can't wait to get out there every morning to see what's going on in the garden. There's never a dull moment." Photo above: Part of a beautiful garden belonging to friends who spent decades changing and improving and experimenting with their back yard. They were often on the big tours sponsored by the Atlanta Botanical Garden. I ran into them and was surprised to learn that they had turned everything over to a maintenance company. But, I know this wonderful landscape gave them years and years of pleasure. Excellent article that raises some of the same questions I've been pondering over for past few years, Martha. Back in the 80s and 90s and plus, why if you weren't into gardening everyone looked at you like "what?" I counted up recently the years I have gardened....starting back in 1954 when I was just a very young mother with a small baby, I began digging in the dirt in the most amateur manner planting the most common(and so ugly) marigolds in the spring, I could find, pansies in the fall, etc. I shudder to think of the big money I've spent for now some 64 years on plants that either died or else were certainly not for my zone. (Did I tell you about the time I found Blue gentian @ a big box store one springtime, purchases them in spades, carefully planted all in a small wooded garden area and then ....zip. Gone with the wind or perhaps I should say middle Georgia summer heat). But as years went along, I learned some things, was taught some things, and Googled a lot of things about gardening. But the serious side is the fact now that in my older years, the days of going out in my garden at 8:30 a.m. (especially in the lovely early spring when the weather is so delightful)and staying until at least 5:00 p.m. are now gone. I feel as though a big part of my existence is shutting down and frankly, I am about in mourning for the younger body and stamina I had but lost. After my late husband's death in May 2000, I turned to my garden and yards and spent day after day, hour after hour, week after week. I guess it was my own catharsis and helped me through those dark and traumatic times. 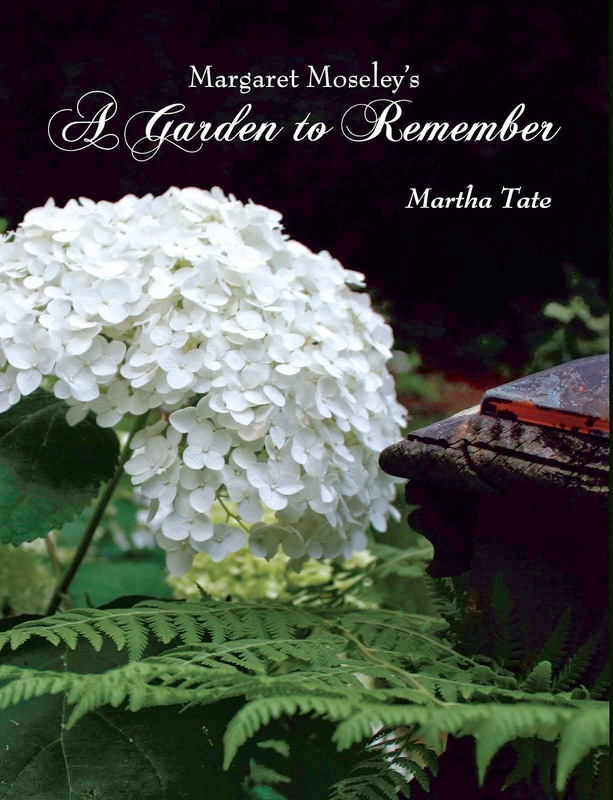 It is exactly as a close friend said to me who also was a gardener and also lost her beloved husband after decades of marriage "gardening is the only thing in the world right now that makes sense to me." I fear for those who haven't now learned the beauty, challenge and wonder of digging in the dirt. Their lives will surely be less rewarding in the long run.